Shahan is a Founder of Serve and its Chief Executive Officer. His vision is to have Serve become a decentralized global platform and worldwide leader for all logistics and service-related industries. In additional to his role in Serve, Shahan is also the Chairman of the Board and Chief Executive Officer of Scoobeez Global, Inc., an industry leader in logistics and last mile delivery. In 2015, Shahan headed the acquisition of Scoobeez and incubated a small delivery company based in Glendale, California. In  three short years, he transformed Scoobeez into an award-winning enterprise focusing on same-day and next-day deliveries. Being partnered with Fortune 100 Companies, Scoobeez is poised to continue its growth trajectory. In his past life, Shahan has been involved in several companies with successful exits and has received industry recognition. In his various capacities, Shahan has been recognized  as a strong leader with a clear vision along with the discipline to achieve the ambitious goals of these undertakings. In the early 2000s, Shahan spearheaded numerous technology ventures in media, commerce, and software, which all saw successful exits for their investors. 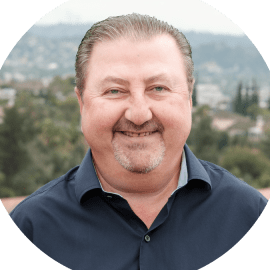 As far back as 1995, Shahan began deploying his impressive value-building principles with  the Insurance Services Network, moving the insurance claims management sector into the new internet economy. In three years, Shahan grew the company from a single location into a national company providing services in most states, by growing the sales of the company from a few thousand dollars a month to more than $80 million. Prior to becoming an entrepreneur, Shahan studied Computer Science and Civil Engineering at The University of Southern California (USC). He is an avid golfer carrying a low single digit index and takes great pride in mentoring young and upcoming entrepreneurs.